internal injuries. Most falls happen within the home. 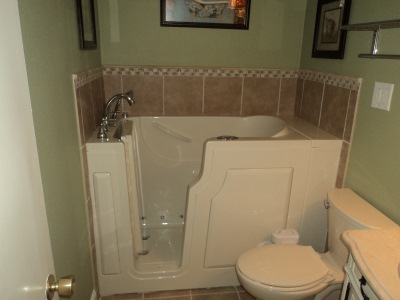 Our walk in tubs help people transfer safely into and out of bathtubs. In addition, we offer an option of outward swinging doors for folks who use wheelchairs for mobility. All of the staff at Independent Home Products, LLC are caring experts in bathroom safety. The safety of our customers is our number one priority as we design and manufacture walk in bath tubs for Lone Tree, CO residents. Each walk in tub is custom molded in our own facility to fit your needs. Wider models are available for full figured clients. Power speed drain – drains in 1-2 minutes!